How to Calculate the GST/HST New Residential Rental Property Rebate ? If you’re a landlord or property owner, and trying to calculate the GST/HST new residential rental property rebate, then Rebate4U could be of great advantage. 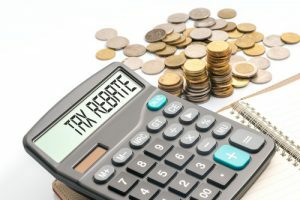 The fact is, with all the guidelines and stipulations, it can be difficult to figure how much rebate money is available on a specific property purchase. At Rebate4U, we make it simpler and less stressful with our rebate calculator. Trying to calculate the GST/HST rental property rebate can often be frustrating, even if you consider yourself a seasoned property owner. Worst case, you may forget something that’s critical or fill out some paperwork incorrectly. Not to mention the bureaucratic atmosphere at CRA – anything that’s missing or incorrect can cause costly delays and even forfeiture of rebates. With Rebate4U, there’s an easier way to calculate the GST/HST new residential rental property rebate. As experts in the field, wecan help you to assess your situation, calculate your potential rebate, and apply for the highest amount possible. The experts at Rebate4U will help you to determine your property rebate eligibility and help you to proceed, while avoiding any pitfalls. Whether you’re involved in a new property purchase or a property that is being substantially renovated, we’ll provide you with personalized service from start to finish. This is particularly relevant for first time landlords who may become overwhelmed. Rebate4U has worked with CRA for years and developed a working relationship that is both streamlined and effective. Whether you’re a seasoned property owner or a novice investor, Rebate4U can help figure out eligibility requirements on a rental property, and how best to calculate the GST/HST NRRP rebate. Our in-house rebate experts can help you to understand “fair market valuation”; “self-supply” of a property; and how the different properties are assessed for tax. There are also administrative guidelines for every rebate application, with relevant paperwork, invoices, and documents required. These are critical for a successful rebate – any mistakes or oversights can delay the processing of a claim or even result in denial. With Rebate4U, every application is filled out completely, with supporting documents, and within the deadline time. Most importantly, Rebate4U can accurately calculate the HST new residential rental property rebate. This allows the NRRP application, along with supporting paperwork, to comply with all of the pre-requisites of the process. As a property owner or landlord, you would be required to keep copies of all completed forms, original receipts, invoices, contracts, and other agreements. Like other Government of Canada tax matters, rebate applicants must retain their records and papers for four years. And like other tax matters, NRRP rebate claims are subject to an audit. Finally, there may be instances where personal records are requested in order to substantiate a claim. With Rebate4U, you’re assured of a streamlined and timely application – without stress. For a quick look at your potential NRRP rebate, use our handy online REBATE CALCULATOR and one of our rebate professionals will be in touch to further discuss your application. To find out more about the NRRP Rebate, visit the Rebate4U website at www.rebate4u.ca .